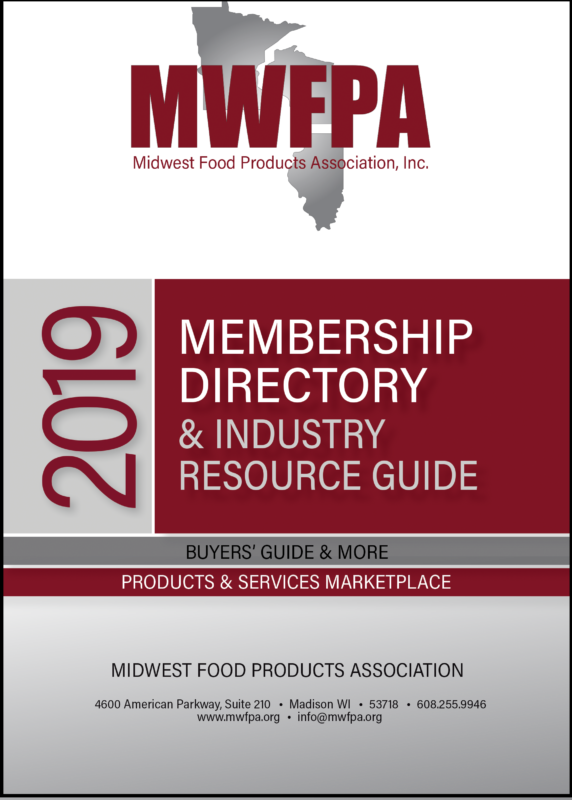 Each year MWFPA’s Environmental Committee holds a joint meeting with the Wisconsin Cheese Makers Association and the Wisconsin Department of Natural Resources (DNR). This year’s meeting centered, as always, around waste water issues. The meeting was well attended by over 70 people including 13 DNR permit writers. Following are the presentations from that meeting. 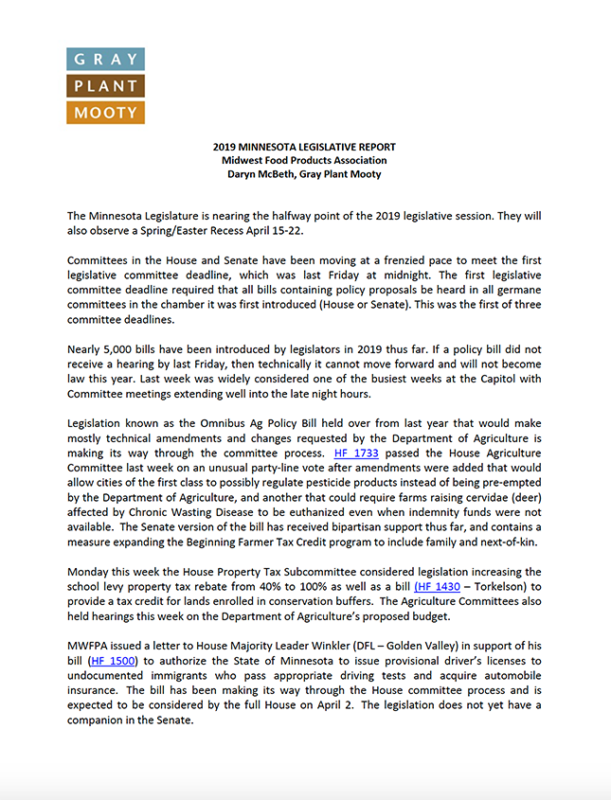 March 15 marked the first leg of the Minnesota legislative session; bills had to pass either a House or Senate policy committee for further consideration. The pace was hectic with committee hearings on more than 400 bills in the House and just under 200 in the Senate. To date, 2,544 bills have been introduced in the House and 2,515 bills in the Senate. Among those bills are a number of interest to the food manufacturing sector. They are addressed in this report for members only.